What is the Palomar Promise? The Palomar Promise is a comprehensive student success program that seeks to increase the college-going rate of local high school graduates. Through a package of free financial resources and academic support services, WE PROMISE to assist students to enroll in college, stay on track to complete their academic and career development goals, and upon graduation from Palomar College either enter the workforce or transfer to the four-year college or university of their choice. What is the First-Year Experience Program? 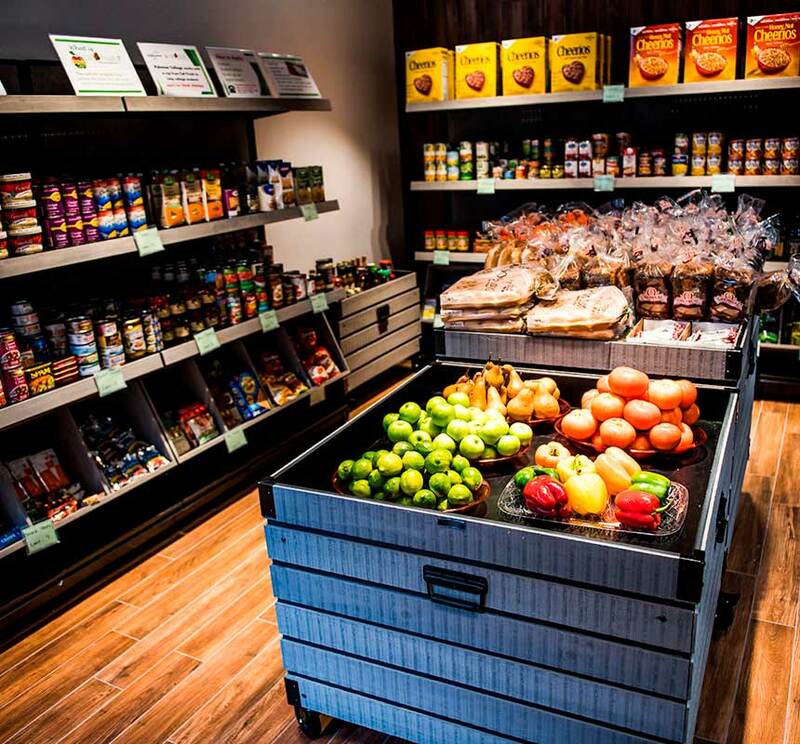 How is FYE connected to Palomar Promise? Students receiving Promise funding will be required to participate in the First-Year Experience (FYE) – Palomar Promise program. 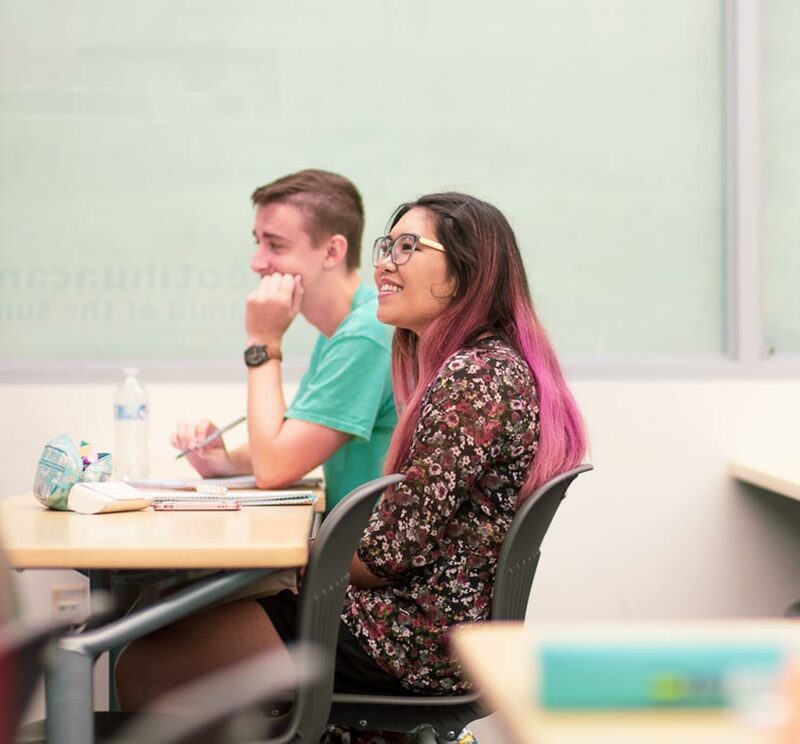 The First-Year Experience (FYE) program is a one-year transition program that is aimed at assisting students as they begin their academic journey at Palomar College. The FYE program provides academic support services that complement the financial support offered through Palomar Promise. Why is participation in FYE important? The year-long First Year Experience (FYE) program focuses on providing first-year students with the academic resources and support needed to transition successfully to college. The FYE program encourages academic achievement, social integration and personal success with the assistance of a strong support network of peers, staff and faculty. Students participate in an orientation and receive individual college planning and financial aid application assistance, referrals to college resources, mentoring and tutoring support. FYE students also participate in academic enrichment, career and social activities throughout the year to ensure long-term college engagement. Can Promise students also participate in other programs such as EOPS, CalWorks, TRIO, STEM ... etc? Yes. The FYE- Promise is not mutually exclusive with any other program our campus offers. In fact, we encourage students to take advantage of these beneficial programs. How is the Palomar Promise funded? The Palomar Promise not only supports individual students, but contributes to the strength and vitality of our community by increasing the college going rate of our youth and providing quality academic and training programs for those who are entering the workforce. Through the efforts of Palomar College and the Palomar College Foundation, the Palomar Promise program is working collaboratively with education, business, and government partners to raise funds to support the Promise for many generations to come. Palomar College and the Palomar College Foundation have established a fundraising goal of $15 million dollars to establish a Palomar Promise endowment. Our inaugural Promise donors are Follett Higher Education Group, Inc. who pledged $1 million dollars and the Palomar College Foundation who contributed $500,000 to the program. How does Palomar Promise work with AB 19 "California College Promise" and FYE? Palomar College is using AB-19 funds to help support the expansion of the Promise program. At Palomar College, the Promise program is run exclusively through the First-Year Experience (FYE). Is the California College Promise Grant (CCPG) the same as the California College Promise program? No, the California College Promise Grant is the new name for the enrollment fee waiver (formerly called BOGW) for eligible students attending a California community college, while the California College Promise program is a collection of Regional Promise Programs across the state where local community college districts partner with K-12 districts (and other entities) to make college more affordable and accessible for underserved students. How do I apply for the Palomar Promise? Eligible students must first apply to Palomar College by completing the Palomar College admissions application via CCCApply. Students must complete the First-Year Experience (FYE) - Palomar Promise application located on their MyPalomar (eServices) student portal. Applications will be considered on a first-come, first-served basis pending availability of program funds. Once students apply, are they automatically considered a Palomar Promise-FYE student? No. Students who meet all the requirements and have been officially accepted to FYE-Promise will be notified via email that their status has been changed to Confirmed Promise student. FYE-Promise applicants should log into their MyPalomar (eServices) to view their application status for FYE-Promise. Click here for more information on how to view your status. Applications are received on a first-come, first-served basis. What does this mean? Palomar College’s receipt date of FAFSA/Dream Act application. Errors made when submitting your financial aid application may impact your eligibility and result in delays in screening your FYE-Promise application. 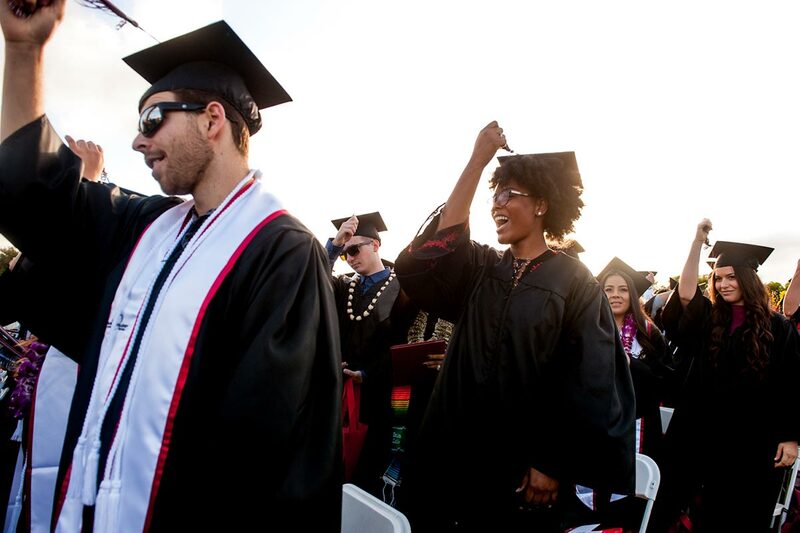 For 2019-2020, Palomar College is expanding the Promise program to all first-time college students. Applicants must be a California resident or from an eligible exempt group (i.e. AB 540 or military dependent). Students must also complete the Free Application for Federal Student Aid (FAFSA) or California Dream Act application; enroll full-time (a minimum of 12 units) at Palomar College; and agree to participate in the FYE program and follow the FYE-Promise Student Success Agreement and Academic Standards. What does a first-time college student mean to qualify for Palomar Promise? To qualify for Palomar Promise, you must be a first-time college student. A first-time college student is anyone who has never attended a higher education institution as a college student and will be attending Palomar College for the first-time. Units earned through concurrent/ dual enrollment as a high school student do not count. Can immigrant students benefit from the Palomar Promise? Yes, students who are eligible to file a California Dream Act application and meet the eligibility criteria for an AB540 waiver can apply for the Palomar Promise. Palomar College is committed to protecting the privacy of all students and will not release any personal information to a third party without the permission of the student or by court order. How does a student maintain their eligibility for the Palomar Promise? A student must agree to actively engage in the FYE-Promise program by enrolling in a minimum of 12 units per semester, meet with a Student Success Counselor to establish a student education plan, maintain a 2.0 GPA while attending Palomar College, and adhere to the FYE-Promise Student Success Agreement and Promise Academic Standards. Note: Winter intersession classes may be used towards the 12 unit enrollment requirement for Spring semester. Promise does not cover the cost of tuition nor the cost of required books for winter intersession classes. Units taken in summer do not apply towards the fall semester 12 unit requirement. Is there an income requirement to be eligible for Palomar Promise? What happens if students drop below 12 units in fall? In order to remain eligible for the Promise benefits, students must maintain full-time enrollment. For students with extenuating circumstances will have an opportunity to submit a Promise Progress Petition should he/she drop below 12 units in Fall and wish to remain in the FYE-Promise program for Spring. What happens if students don't receive a 2.0 GPA in the Fall? In order to remain eligible for the Promise benefits, students must maintain a 2.0 GPA. Students with extenuating circumstances who drop below a 2.0 GPA in Fall and wish to remain in the Palomar Promise program will have an opportunity to submit a Promise Progress Petition. What are the benefits of the Palomar Promise? What financial aid support will a student receive as part of the Palomar Promise? What academic support will a student receive as part of the Palomar Promise? The two primary goals of the Palomar Promise program are to increase access to higher education by removing the financial barriers to attend college and to increase college completion by providing a comprehensive set of academic support services from the First Year Experience (FYE) program. To be eligible to join the Palomar Promise, students will be required to sign a FYE-Promise Student Success agreement and meet with a Student Success Counselor to establish an education plan. Participating students will be expected to follow their education plan, meet with a Student Success Counselor as needed, and actively participate in specialized academic and career workshops, tutoring services, and financial literacy services. Does the Promise cover fees for classes taken in the summer or winter intersession? No, Promise does not cover fees for classes taking during the summer or during winter intersession. Note: Winter intersession classes may be used towards meeting the 12 unit requirement for Spring semester in order to maintain Promise eligibility. Summer classes do not apply towards the fall 12 unit requirement. Does the Promise cover the health fee and the student rep fee? Can I use my Promise textbook funds to purchase books outside the Palomar Campus Bookstore? No. The Promise textbook account is set up with the Palomar College Bookstore. Students who have been confirmed to participate in the FYE-Promise program will receive a notification in July as to when they can access their Promise textbook funds. When willI hear from the college regarding my FYE-Promise status? Eligible students who have submitted their FYE-Promise application and have a valid FAFSA or California Dream Act application on file with the college will receive an initial FYE-Promise status notification via their Palomar student email account in March. All official program notifications will only be sent to the students' Palomar email account. It is very important that you check the status of your financial aid application to ensure it is complete and accurate, and verify that it has been received by Palomar College. Errors made when submitting your financial aid application may impact your eligibility and result in delays in screening your FYE-Promise application. Why is it important for me to activate my Palomar student email account? How do I activate my email account? Your Palomar College student email account is very important. Make sure your Palomar College email is activated as soon as possible. The College will only communicate to you through your Palomar email address, regardless of you having a personal email address on file. This includes notifications of the status of your FAFSA, missing documents, financial aid awards, and other messages from the Financial Aid Office. Palomar has recently implemented a new email program, click for details. To check your student email account, sign onto MyPalomar (eServices), click on the Welcome tab and you will either see “Activate Student Email” or “Auto Login Email”. If you would like to link your Palomar email with your personal email, click here for instructions. I've applied to FYE-Palomar Promise. Now what should I do? Please refer to the Next Steps page for more information about completing the required steps for FYE-Promise eligibility. I have questions about my FYE-Promise status. Who do I contact? For information about the FYE-Palomar Promise application and eligibility , please contact the Teaching and Learning Center San Marcos at (760) 744-1150, ext. 3931. If you have questions regarding your financial aid application, please contact the Palomar College Financial Aid Office at (760) 744-1150, ext. 2164. Am I able to check my FYE-Promise status on MyPalomar (eServices) student portal? Yes. Students who have submitted their FYE-Promise application may view their status on MyPalomar (eServices). Once you log in to your eServices account, click on the Student Center tab. You will see a box near the bottom right corner labeled FYE-Promise Program Application.